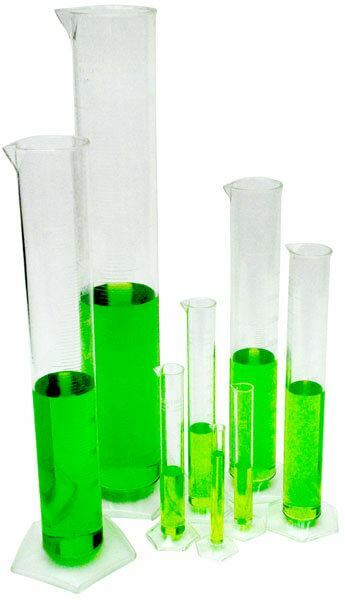 250ml Plastic Graduated Cylinder - Gilson Co.
GW-44 250ml Plastic Graduated Cylinder is made of quality polymethylpentene (PMP). PMP is transparent, rigid, impact-resistant and handles temperatures up to 135°C. The cylinder has a stable base, pour-out top and molded-in graduations every 2.0ml. Package of one. Not recommended for use with chlorinated solvents or strong oxidizing agents. Explore our selection of Plastic Graduated Cylinders available in 10 to 2,000ml capacities – and view the video on Gilson Graduated Cylinders to learn more.